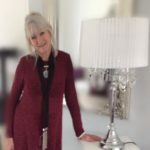 I’m thrilled to be helping get this blog tour off to a start today. 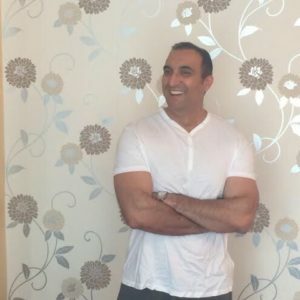 And you’re in for a treat! Luckily, her job gives her access to an endless catalogue of gorgeous actors to choose from. 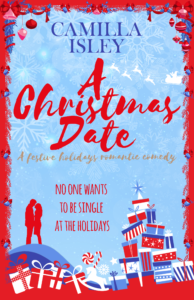 A fun, festive romantic comedy with lots of bad behaviour and Christmas spirit. Like a creamy hot chocolate with marshmallows, you won’t want to put this deliciously hilarious novel down. Perfect for fans of Sophie Kinsella, Sally Thorne, and Jo Watson. I adored this book, and for so many reasons. 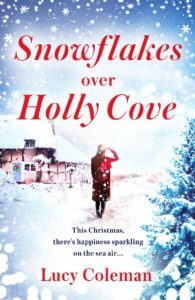 It’s fun, it’s clever, it’s Christmassy, it’s peopled by lively, interesting characters and there’s just the right amount of mutual attraction and misunderstandings, and not forgetting furry animal, to make it the perfect Christmas romcom. Nikki is a very efficient and organised sort of person, at least in her work life. She’s quite driven, and could come over as rather intimidating if it weren’t for her down-to-earthness and her sense of humour. She’s a wonderful friend to Blair too. Part of her quest to always be striving to do better has come from her parents, who we meet over Christmas. Actually Dad is fine, but Mum is rather pushy and always expecting a bit too much from her daughters. Nikki is a loving big sister to Julia, but in a non-hands-on way. She’s there for her, but doesn’t make much of an effort too keep in touch. Their relationship is both strained in this book, when Juila announces she’s engaged to Paul, who Nikki was extremely fond of, but also strengthened when the sisters finally come clean with each other. In the way that siblings often do, they’ve both harboured silly grudges and unjustified jealousies. Excellent entertainment and thoroughly enjoyable. She’s a cat lover, coffee addict, and shoe hoarder. Besides writing, she loves reading—duh!—cooking, watching bad TV, and going to the movies—popcorn, please. She’s a bit of a foodie, nothing too serious. A keen traveller, Camilla knows mosquitoes play a role in the ecosystem, and she doesn’t want to starve all those frog princes out there, but she could really live without them. Books Are Cool is getting into a festive mood. 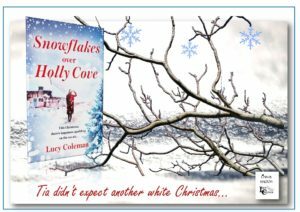 Today Snowflakes Over Holly Cove by Lucy Coleman is in the twinkling spotlight. I’m a big fan of this author and so I was really looking forward to reading her new novel. And what a delightful and festive treat it is! 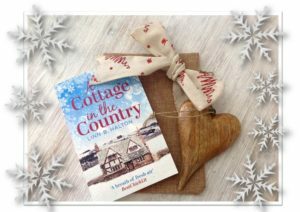 It has all the ingredients you want from a romcom, and especially a Christmassy one – love, a touch of sadness, new beginnings, misunderstandings, reconciliations and a cast of colourful, good-hearted (on the whole) characters. Tia is still reeling from her mother’s death. She had a close relationship with her, and it’s lovely to see that strong bond between them in the book. After all, a mother-daughter relationship is such a special thing. Tia has the sense to take time to bounce back, and to realise it’s more a case of readjusting than recovering. You never stop missing a loved one who’s died, but you do learn to carry on without them. This is what Tia does. It also encourages her to deal with the fractures in her other family relationships. What better time for this than Christmas? 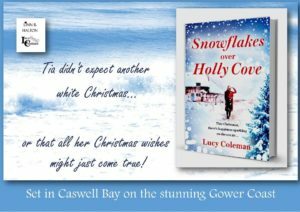 The wild and beautiful Holly Cove is the perfect place for Tia to get her priorities back in order, and her life back on track. It’s not an easy process but we know that our likeable, stong heroine will be successful eventually, despite the odd setback, and when the handsome Nic crosses her path, well, we all start hoping that will turn out for the best too. 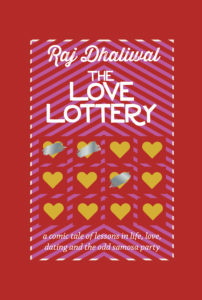 There is a lot of richness to the story in the well thought-out plot, the interesting people we meet, the complexities of the relationships that come under scrutiny and the portrayal of life as it is, with its pleasures and pains, its highs and its lows. We see Tia develop and blossom, and a splintered family mends – Christmas magic in an everyday setting. Really lovely.